Loaned to the Polish Navy before completion as Slazak on 30 April 1942. 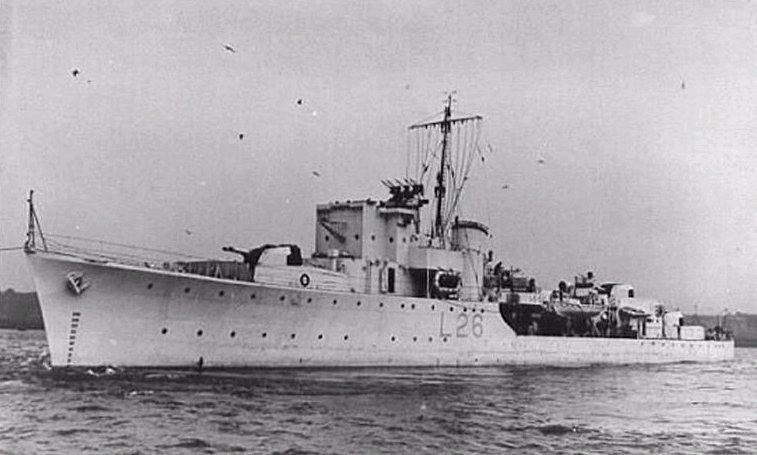 She was returned to the Royal Navy on 28 November 1946. Loaned to the Royal Indian Navy on 27 April 1953. Renamed Godavari (D 92), served as destroyer until April 1959 when she was finally bought by India. Then reclassified as frigate served with old tactical number until 1979 when Godavari was scrapped.